Renowned Urdu poet late Moin Ahsan Jazbi never cared for fame or critics' attention. Though his Nazms and Ghazals were more popular than many of the well-known poets, he preferred to remain in the background. Jazbi had a tough life, especially because of stepmothers' harsh treatment. Jazbi suffered financial problems and remained unemployed for long. A reflection of these frustrations, as well as the lack of love [which he mentions openly in interviews, publicly and in his poetry] are visible clearly in his couplets. It was after he got a job in AMU that he got financial security. He wrote less than his contemporaries but his couplets have more poetry and lyricism, as well as the poetic strength to survive time. Once he settled in life, he took great care of his stepmother, who had made life hell for him in his childhood. Moin Ahsan Jazbi was born in 1912. 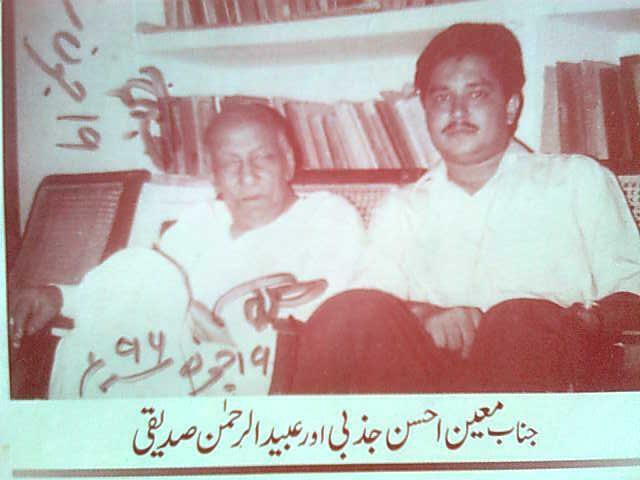 A close of friend of Asrar Ul Haq 'Majaz' Lakhnawi, he initially kept 'Malaal' as his pen name but later changed it to Jazbi. Among the last of the poets of Progressive Writers' Movement, along with Wamiq Jaunpuri, he nurtured young talent till his old age. Jazbi He passed away in 2005. Read Moin Ahsan Jazbi's eight immortal couplets here. This is one of the greatest Urdu verses ever written. Moin Ahsan Jazbi's Nazm 'Maut' [Death] is a gem of literature and for penning it, Urdu poetry will always be indebted to him.